Channel 4 has confirmed a major shake-up in how it works following demands from Government to move out of London. 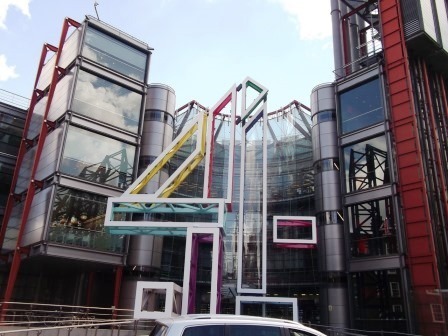 It will invite cities to make a pitch for Channel 4 to choose them for a new national HQ and will launch a new style Channel 4 News, to be co-anchored with a presenter in London and one outside of London. The broadcaster will move to a multi-site operating model, establishing a new National HQ and two new smaller creative hubs in the Nations & Regions in 2019 – home to jobs from across the business including key creative decision makers. When this strategy is fully implemented, 300 Channel 4 jobs will be based in the Nations and Regions and the intention is to grow this further over time. Channel 4’s Chief Executive Alex Mahon says a pitch process will be launched in April in which cities and regions across the UK can pitch to become the home of the new Channel 4 creative hubs – with the aim that a decision on the location of the hubs will be made in Q3 2018. Channel 4 Executive Board member, Jonathan Allan will take on lead executive responsibility, working closely with Alex Mahon, for delivering the strategy – including leading the pitch process for the new creative hub locations. Programme commissioning editors overseeing significant budget and with responsibility for some of Channel 4’s biggest shows will be based across the three new creative hubs – alongside a variety of other creative and business functions. The largest of the creative hubs will be known as Channel 4’s National HQ – and will regularly host Channel 4 executive and Board meetings – alongside Horseferry Road as Channel 4’s London HQ. This National HQ will be home to a new studio, with the potential to be a base for daily programmes, and a new digital production unit – creating compelling short form digital content targeted at young audiences which reflects the diversity of UK culture and values. Channel 4 News will also expand its footprint in the nations and regions opening new bureaux giving a huge boost to regional representation, aiming to become the first peak-time national news programme to co-anchor from both London and the Nations & Regions from 2020. In partnership with ITN, the programme will establish three new Channel 4 News bureaux with one becoming a major hub with a studio, digital and commissioning centre, tripling the number of jobs based in the Nations & Regions by 2020. In total, it is expected that around 300 Channel 4 jobs will be based in the Nations & Regions. In addition, the increased programming spend will be supporting up to 3000 additional production jobs in the Nations & Regions economy. “As a public service broadcaster with diversity in its DNA, Channel 4 has a unique ability to reflect our society. This is a significant and exciting moment of change for Channel 4 as we evolve to ensure we are best suited to serve all of the UK. The corporation will retain its Horseferry Road office, but will reduce its London footprint with space in the building becoming a new drop-in workspace for use by Nations & Regions indies and creative companies building their business with clients in the capital. The Government had put pressure on Channel 4 to completely move out of London, but the broadcaster successfully argued that it needed a London presence for its sales teams, due to the integrated nature of the media sales industry in London. Most of Channel 4's activities are in fact undertaken by third party companies. Channel 4 is unique, as although it operates as a commercial, ad-funded public service broadcaster, it is ultimately owned by the Government, as the Channel Four Television Corporation is a public corporation belonging to the Department for Digital, Culture, Media and Sport. Culture secretary Matt Hancock has responded in favour of today's Channel 4 announcement.